What does the Venice Nutrition Certification Program Offer That Other Programs Don’t? Our online nutrition certification program is unique because it offers many benefits that other programs from larger institutions do not provide. The Venice Certification was created by internationally recognized nutrition expert Mark MacDonald in order to be a practical solution for individuals who want to teach nutrition to clients. Some degrees and certifications are merely collections of biological and physiological information, designed to advanced participants towards a higher degree, and years of additional study. The Venice Nutrition Certification, on the other hand, was designed to give health professionals actionable advice that they can use to immediately help clients look, feel, and perform better. 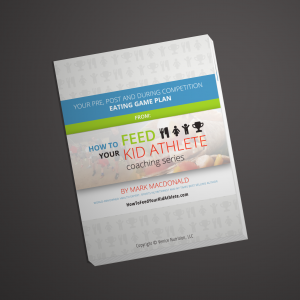 Mark MacDonald is one of the most successful nutrition experts in the country, and his thousands of success stories have proven that this model of nutrition works across the board for people of all body types and situations. He has trained celebrities, television personalities, news anchors, business executives, and many other people in the public eye. This is not just information about how to eat and how the body works. This is a proven system that works for any and every client. It also contains powerful business strategies that have helped hundreds of trainer, businesses and practices increase their income through nutrition counseling. If you want to make money as a health professional, and your revenue depends on your ability to help clients make positive changes in their bodies, then this is the program for you. The ability to teach nutrition legally in all 50 states – most certifications do not legally allow you to teach nutrition. The Venice Nutrition Certification does. Join our Nutrition Certification Program today!